A senior official at aviation regulator DGCA said it has received information about the incident and AAIB probe is on. NEW DELHI: Two IndiGo and SilkAir planes almost collided over Kolkata airspace last December, it has emerged, prompting the government to launch a probe. The IndiGo plane from Kolkata to Hyderabad (VT-IEM) and the Kolkata-bound SilkAir aircraft from Singapore (9VMGH) were involved in the incident that happened on December 11. Together, there were more than 200 people in the two planes. Both the airlines did not provide the number of passengers who were on board their respective flights when the incident happened. Aircraft Accident Investigation Bureau (AAIB) has started a formal inquiry into the "serious incident", according to a recent notification issued by the Civil Aviation Ministry. Citing preliminary data from Indian authorities, French aviation watchdog BEA said vertical separation between the two aircraft "was zero feet" while the least horizontal separation between the two planes was reduced to just 0.6 NM. 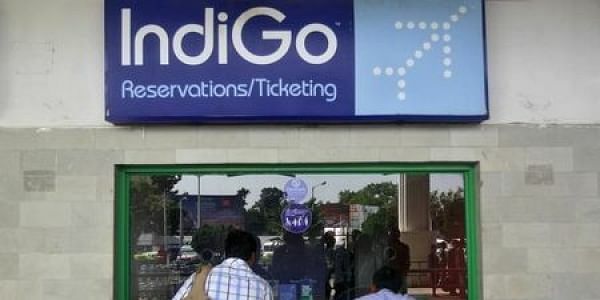 About the incident, an IndiGo spokesperson said there was a reduction in horizontal separation between the two aircraft but "no error has been found on part of the IndiGo flight crew". The airline also said the situation could have been avoided had the Air Traffic Controller (ATC) not cleared its plane for take-off and made SilkAir discontinue the approach. When contacted, a SilkAir spokesperson said the airline has provided AAIB with all the information and reports for the flight to aid them in their investigation. In a statement sent to PTI, the spokesperson said as the SilkAir aircraft was on approach and preparing to land, it was alerted about the Indigo plane taking off from the same runway. As the pilots could not clearly identify the location of the IndiGo aircraft on the runway, they decided to discontinue the approach and circle the airport for another approach to land, the statement said. The SilkAir plane landed safely, it added. IndiGo was flying Airbus 320 plane while SilkAir was operating Boeing 737 aircraft. The seating capacity is around 180 seats and 162 seats for the IndiGo and SilkAir planes, respectively. BEA said "IndiGo flight IGO6619 sector Kolkata-Hyderabad departed runway 19L at 1525 UTC while the SilkAir flight MI488 commenced go around at the same time." "The least horizontal separation between MI488 and IGO6619 was 0.6 NM during the entire event and the least vertical separation was zero feet," as per information available on BEA website. BEA has also mentioned that it is "preliminary data based on the notification from the authorities of India". An official, who earlier served at aviation regulator DGCA, said considering the facts available the incident is like a near collision since the vertical and horizontal separation of the two aircraft were well below the stipulated requirements.